Kiss Me Organics Matcha is a matcha powder that is available exclusively online at Amazon.ca and Amazon.com. I was approved by the brand to sample and review their matcha. As I love making matcha drinks and I like to have an alternative source of energy besides coffee sometimes, I had to take them up on their offer. Kiss Me Organics Matcha costs $29 and comes in a 4 oz bag. Compared to a lot of other brands this is a fair price. I have also purchased matcha powder from David’s Tea, which I enjoyed, but I didn’t notice any difference taste wise and with the Kiss Me Organics you get more powder for less money. I am by no means a matcha connoisseur, but I definitely enjoyed the taste of the Kiss Me Organics matcha. It was ground nice and fine, so it dissolved easily and didn’t clump when mixed into drinks. It had a nice earthy flavour. Matcha can be used in baking and cooking, but I normally prefer to use it to make drinks. Sometimes I will drink it straight up or as a matcha latte, or smoothie. If you are a beginning matcha drinker I would suggest adding a scoop to a smoothie or making a slightly sweetened matcha latte to get acquired to the slightly bitter, earthy flavour that matcha possesses. 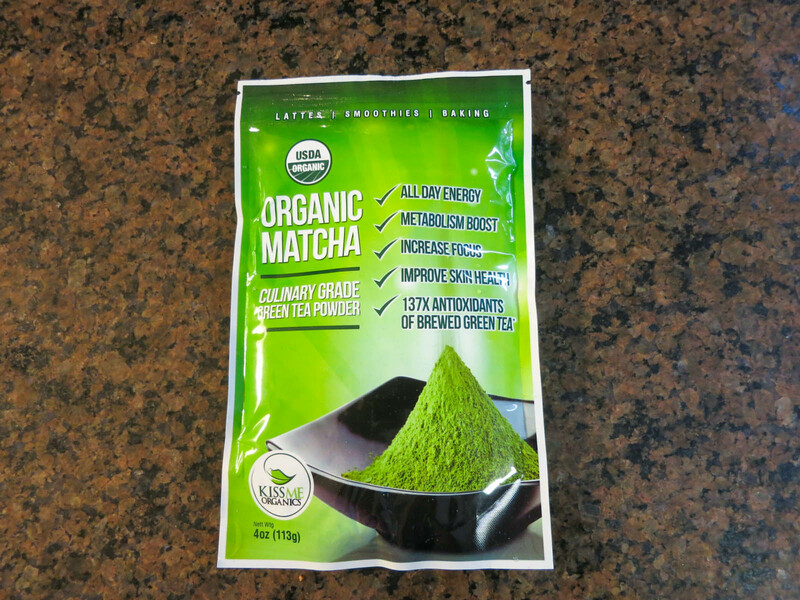 If you enjoy matcha or you are curious to try it for the first time, the Kiss Me Organics offers a tasty bag of matcha for a reasonable price that would allow you to enjoy it on a daily basis. Disclosure: I did not pay for the matcha powder.